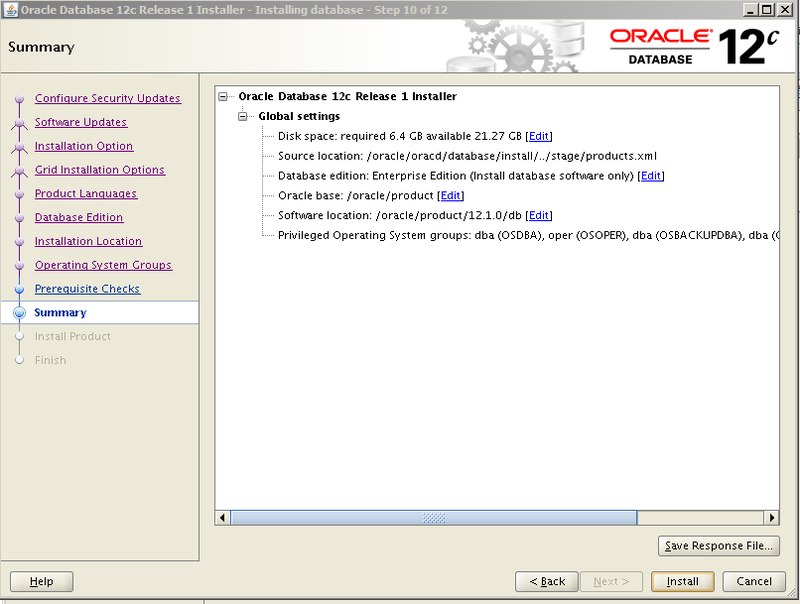 I will explain how to install Oracle Database 12c step by step in this post. 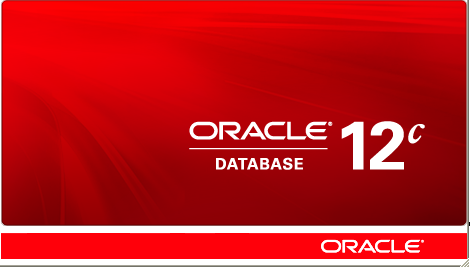 You can download Oracle Database 12c installation files from this link. If you don’t install Linux operating system, you can read follow article to install Oracle Linux. 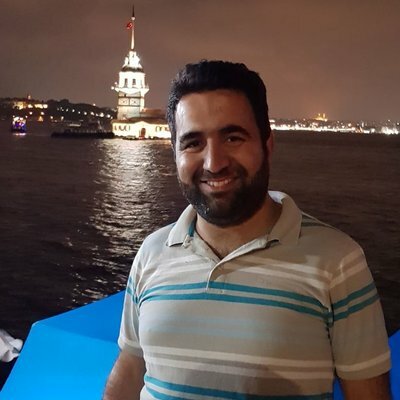 Before starting the installation, I will tell you the necessary Linux System packages, Kernel Parameters, Limit Parameters and the creation of the required Groups in the Oracle installation. First of all, we are running the necessary system packages before Oracle installation with the root user like following. In order to install these packages, linux server has to access internet. You can just install oracle preinstall package instead of above commands. This ” oracle-rdbms-server-12cR1-preinstall.x86_64 ” package consist of all packages that I wrote above. After making sure that Oracle preinstall package is properly installed, we add the following parameters to the Kernel parameter file of the server. The kernel parameter file on the server is located under / etc path as sysctl.conf. This file can be opened with the root user with vi file editor, and add parameters as follows or if the parameter used to change the new value. To activate this command on the server, execute the following command. We add the following values to the file where user limit values set. 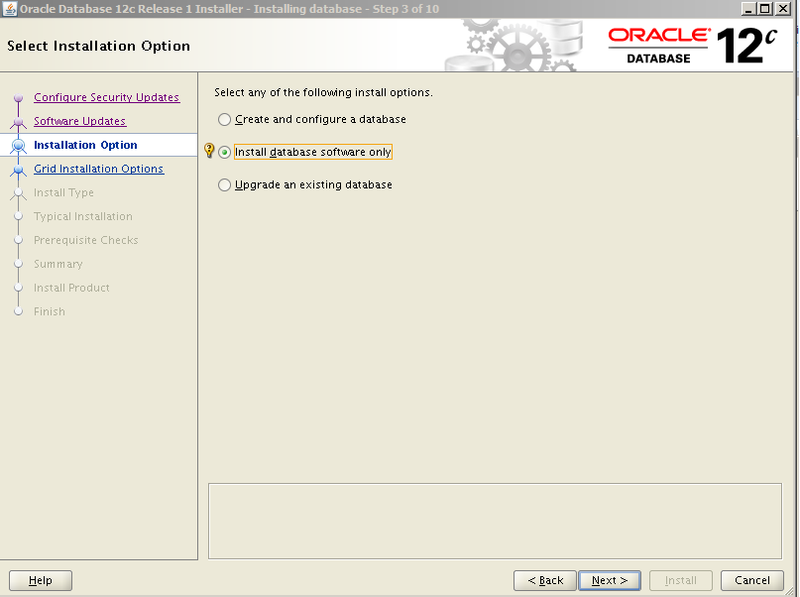 Now let’s create the necessary users and groups for Oracle installation as follows. But If you install ” oracle-rdbms-server-12cR1-preinstall.x86_64 ” preinstall package, these are created automatically. After creating required users, we create the following directories in order to be able to keep the installation files and Oracle Software. After creating the related directories, we will finally put the following variables into the Bash profile file. After completing requirements, lets install. I have upload the installation files on the server and opened files with unzip command as follows. Step 1: When I execute runInstaller, the first screen will appear as below. 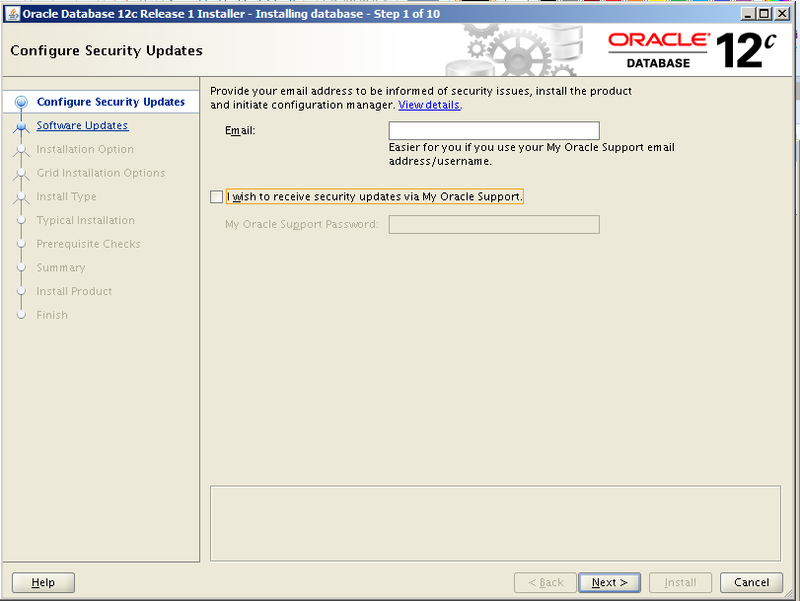 It asks “Do you want to receive security updates from Oracle support on this screen ” and uncheck the checkbox and click next button to continue. 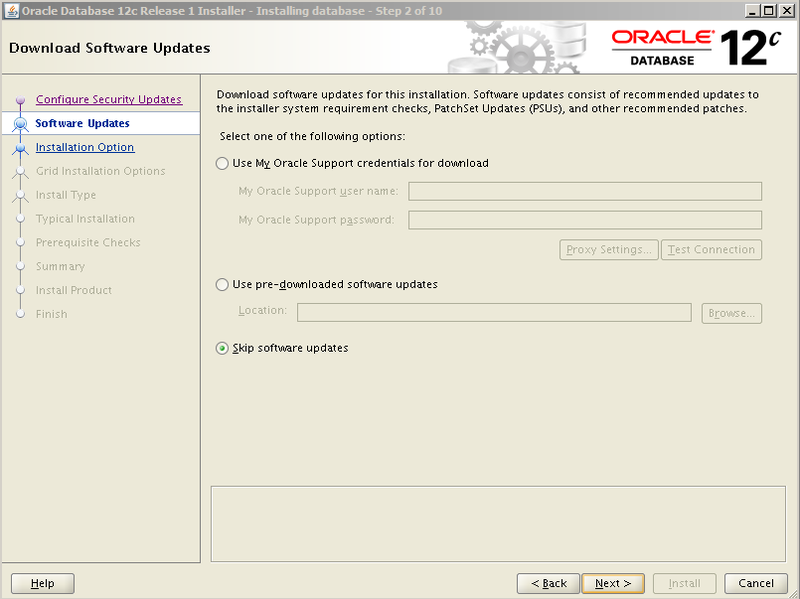 Step 3: In this step, updates about Oracle software, Click Skip software updates. 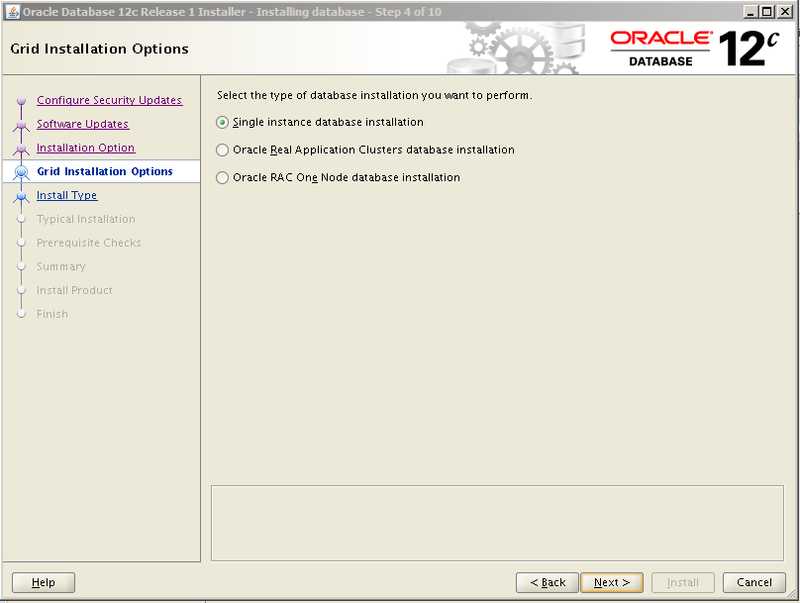 Step 4: In this step, we select Install database software only tab and continue. Step 5: Specify whether the database configuration is a Single instance or RAC. I have chosen Single instance. 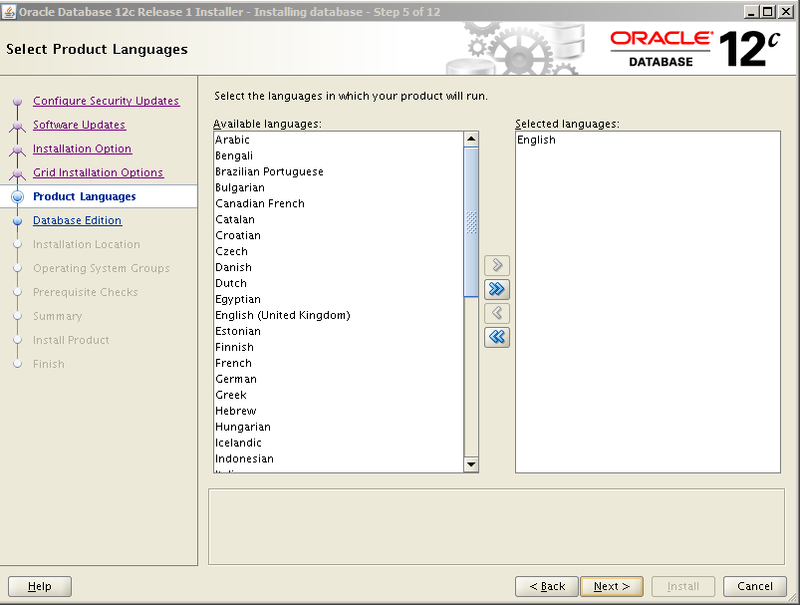 Step 6: Choose the language of the Oracle software in English. 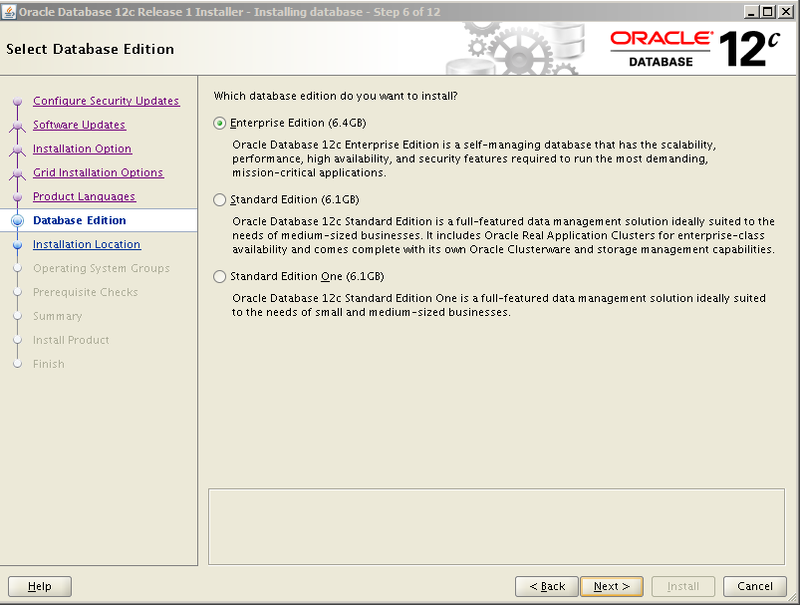 Step 7: In this step, select the Database license as Enterprise Edition and continue. 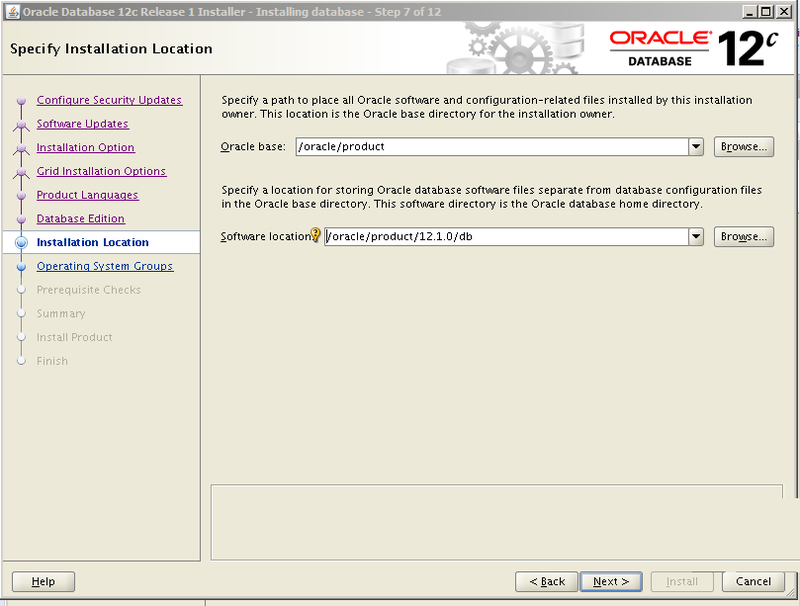 Step 8: In this step, Set the directories where Oracle software will run. Step 9: In this step, Specify all the operating system groups as dba or oinstall like following. 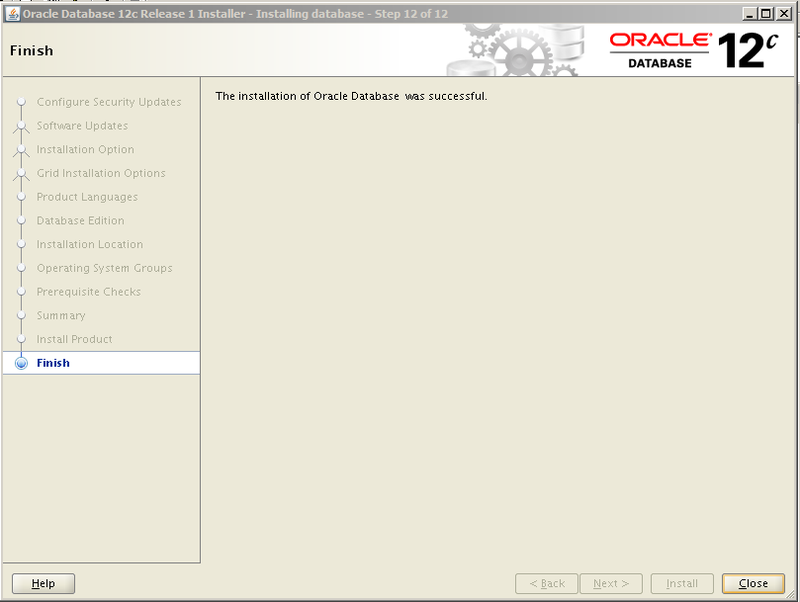 Step 10: Before start the installation in this step, Oracle offers a summary. 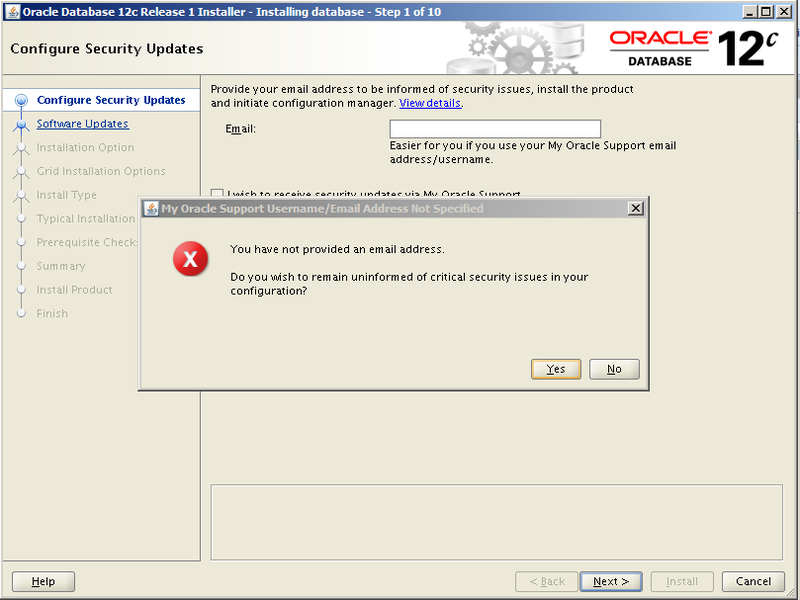 Click Install and start the installation of Oracle Software. Step 11: Installation continues as follows. Step 12: Before the installation is complete, Oracle wants us to run the following Configuration script with the root user from us. Copy the script and run it with the root user as below and click on the OK button. Step 13: After running the above root scripts, the installation will be completed as follows. 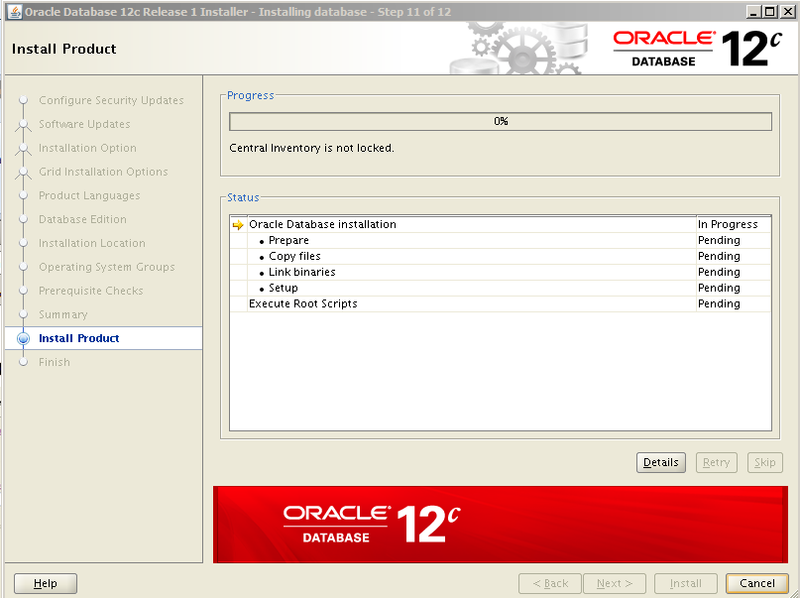 Oracle database 12c Software installation is completed, I will continue to explain Oracle database 12c Software installation in the next post.